A.The movements of classical Chinese dance are rich in their ability to express a variety of feelings, be it happiness, sorrow, joy, anger, grief, delight, the emotions that come with parting and reuniting, insanity, infatuation, sickness, tipsiness, solemnity, ignobility, and majesty, as well as civil, military, and other personalities and stories. B.In classical Chinese dance, it is meaning that drives the body into motion. In other words, in this dance form, only when inner feelings drive the body is full expression achieved. C.Classical Chinese dance uses the human body's natural ability; it does not require specifically training individual muscles. That is, the muscle strength gained naturally through walking, running, jumping, climbing stairs, riding a bicycle, etc., as well as the upper-body strength naturally built through physical labor, is further strengthened in the course of training. E.In performing theatrical dance, classical Chinese dance involves a dance acting element. The acting in dance is different from that of film, drama, opera, traditional Chinese theater arts, or Broadway musicals. The acting in classical Chinese dance involves coordinating facial expression with physical movement, which, when merged together, results in an amplified form of expression. 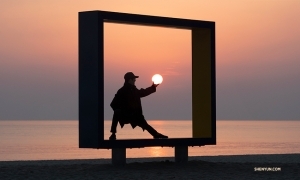 Several thousand years ago, martial arts (wushu) appeared in China. At the time, many types of performing arts were influenced by martial arts movements, techniques, and flips. The original forms of many classical Chinese dance movements were similar to those of martial arts; it was just that they were performed differently and what they required was different. Later, during the five thousand years in which Chinese culture was being established, classical Chinese dance was being continuously enriched, and that is what brought forth the “bearing” aspect of classical Chinese dance. And it is also the source of the style that classical Chinese dance took on over the process of its being passed down. The way a person from a particular ethnic group moves contains that group’s own distinct qualities, so Chinese people’s movements naturally have a Chinese feel. But actual study and practice have shown that, through specific training in “bearing” and “form,” people of other ethnicities can also acquire this feel. Classical Chinese dance was handed down in a variety of ways, with plays being chief among them. Historically, throughout the different dynasties, dances performed in the imperial court had different techniques and characteristics. Among the populace, dance spread mainly through imitation, while with street performers it spread mainly through martial arts techniques. Before the Qin and Han dynasties (spanning 221 B.C.E. - 220 C.E. ), there were entertainers who performed martial arts routines. And acrobats mainly used flips. During the Tang and Song dynasties (spanning 618 C.E. - 1279 C.E. 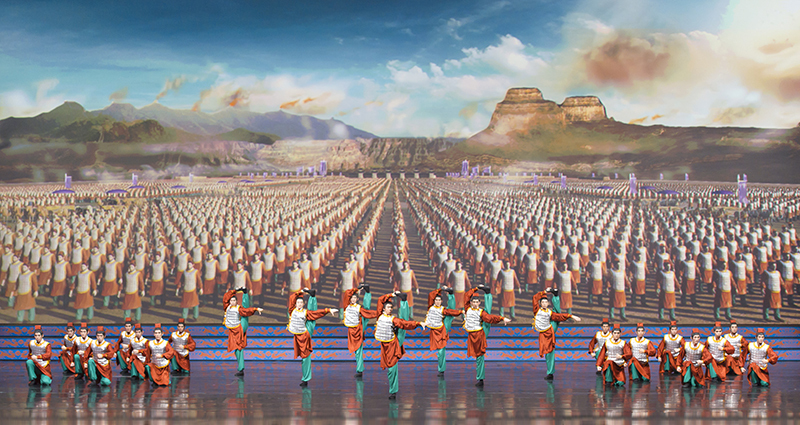 ), much of the dance and street performance contained early forms and techniques of classical Chinese dance. Flips, in particular, were used by practically all street performers. This is yet another example of how, within Chinese culture more broadly, the techniques of different art forms have influenced one another. The concept of Chinese dynasties differs from that of other peoples’ ancient kingdoms. Replacing a dynasty meant changing over to another dynasty’s distinct set of cultural traits, as each dynasty has its own emperor, its own people, its own culture. And that is how, during the historical process of that civilization being established, classical Chinese dance was constantly enriched and constantly perfected. Today’s teaching methods did not exist in ancient China. In theater, the older generation trained apprentices, and so it was passed down from one generation to the next. From a young age, the student established a formal apprenticeship with a master, and this is how one became a professional. In imperial court dance, the art was passed down as the young ladies taught one another; many of the street performance arts were imparted as family traditions; and martial arts were handed down from ancestors or learned from a master. Similarly, in Buddhist and Taoist religious practices, after a disciple takes up the robe, he or she receives the teachings from the master. Modern, systematized teaching methods are something that started in the first half of the last century. A. In classical Chinese dance, the expressiveness of the body is primary, whereas in martial arts, fast and explosive completion of movement is primary. The faster the martial arts, the more it achieves the goal. B. Classical Chinese dance integrates the movement of the body with inner bearing. C.	Classical Chinese dance is a language of the body. In order to depict a character or story to its fullest extent, the body needs to extend and spread to the fullest extent. That is why long legs are the most basic criterion in selecting dance students. Using this kind of extension in martial arts combat would leave one vulnerable. D. Martial arts cannot convey storylines, different characters, moods, and emotions like classical Chinese dance does. E.	Martial arts does not have the “bearing” required in classical Chinese dance. With China’s so-called “Reform and Opening Up” (beginning in the late 1970s), classical Chinese dance’s techniques and flips suddenly appeared on the world stage. Notably, its techniques and flips sent shockwaves through the international dance community. 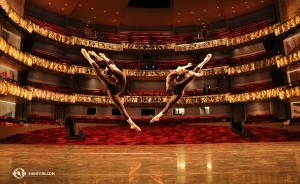 Ballet thus incorporated some of the techniques of classical Chinese dance, and modern ballet has incorporated classical Chinese dance techniques on an even larger scale. However, they do not understand the required standards for these techniques and have used them in a very nonstandard way. What is known as street dance has an even shallower understanding of the techniques’ requirements and standards and has, as a result, taken classical Chinese dance and distorted it. Classical Chinese dance has also had a tremendous influence on athletics. Before the 1970s, training in rhythmic gymnastics, the balance beam, and bars involved only simple ballet movements and physical training. Then, China’s gymnastics teams took classical Chinese dance techniques and flips, and used them on a large scale in gymnastics events. As soon as these techniques appeared in international competitions of the 1970s, gymnasts worldwide were astonished. There were Chinese contestants who at one point managed to get five all-around medals. 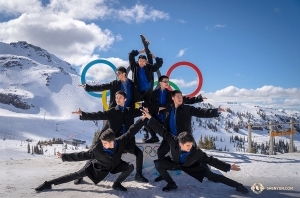 Gymnasts around the world started learning the techniques and flips of classical Chinese dance and, overnight, gymnastics competition was pushed to a higher level of technical skill. 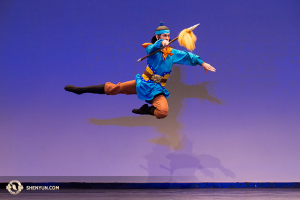 In fact, many different dance forms, physical arts, and sports around the world have adopted the techniques and flips of classical Chinese dance. Some copy them a little better, while others are quite subpar, inaccurate, nonstandard, and even unsightly, and this has distorted the exquisite culture of five thousand years. 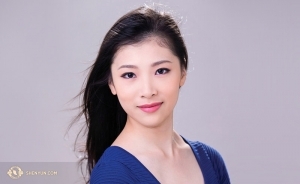 These are the basic things to know about classical Chinese dance.